RelativeLayout is a view group that displays child views in relative positions. Relative layouts are one of the more common types of layouts in android. 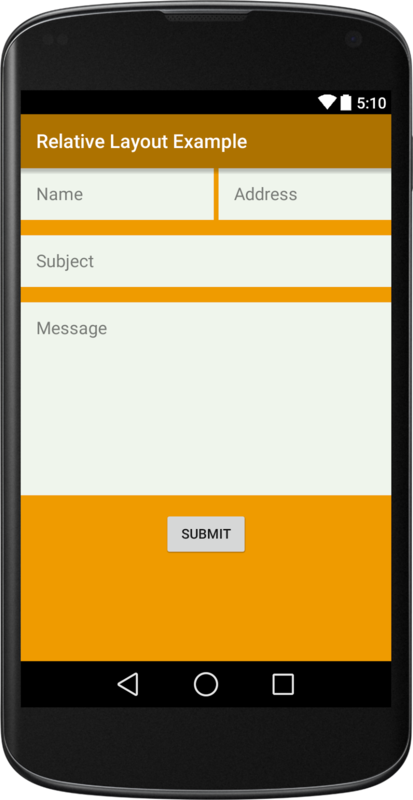 This example shows you to create android application using relative layout. Now, run your application which looks this.